Pipe World has been serving the Austin, Round Rock, and Central Texas area since 1983. Our Austin store is located in Northwood Plaza (just across from Northcross Mall), and our Round Rock location is in La Frontera. Pipe World prides itself with being a fully-stocked tobacconist. Both locations offer a large walk-in humidor which is stocked with fine cigars; additionally, we carry a generous array of pipes and tobacco, as well as complete supplies for roll-your-own cigarettes, and top-quality men’s gifts. Drop in or call us to learn about new offerings, arriving daily, and enjoy a cigar or pipe tobacco in our smoking lounge. 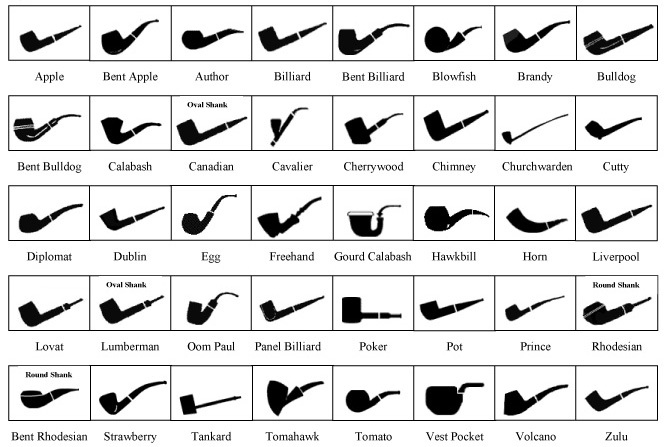 Pipe World offers an extensive variety of smoking pipes for the beginner to the connoisseur; some of these brands include Nording, Peterson, Savinelli, and BriarWorks. We even boast many unique meerschaum pipes. Select a tobacco brand to learn more. Vanilla flavored golden cavendish with a hint of black cavendish makes this blend a cool smoke and our #1 seller. A very rich, mellow blend of black cavendish tobacco flavored with pure vanilla. Golden virginia, burley, and toasted cavendish tobaccos with a hint of vanilla. Golden Cavendish Tobaccos With A Sweet, Mellow Coconut Flavor. A burley blend with a great aroma that lacks burley’s traditional bite. A great combination of amaretto and a mild, light cavendish tobacco. Cherry and sweet dark cavendish are blended to produce this luscious vanilla cherry blend. A spun pressed roll cake made of virginia, black cavendish and perique. A chocolate lover’s delight! A rich black cavendish flavored with deep, dark chocolate. A Virginia Perique blend composed of red and bright Virginia and 25% Perique. A Perique lover's delight. A deep brown coarse cut cavendish with buttery vanilla. Gold and black, fire-cured cavendish tobaccos blended to provide a fine flavor. Four black fire-cured grades with virginias and a cordial liqueur. Dark black cavendish flavored with the essence of rich black coffee. A balanced blend of golden virginia and burley tobaccos enhanced with toasted cavendish flavored with roasted hazelnuts. A subtle sweet blend of vanilla with the finest matured golden virginia tobaccos. A majestic combination of toasted cavendish with premium burleys and virginias. A delicate balance of burley and black cavendish blended with pure peach flavor. A double dose of vanilla added to sweeten the taste of this cavendish. Virginias blended with sweet black cavendish and mild burleys flavored with exotic rum and vanilla bean. A virginia and burley based blend flavored with rum and maple. A delicate blend of black and vanilla cavendish. An outstanding blend of virginia, sweet black and subtle burley, flavored with creamy vanilla and chocolate. A rich creamy texture of vanilla, caramel and honey applied to burley, virginia and flavored black cavendish. Twice the cherry flavor added to a light cavendish. Slice cut virginias with louisiana perique. A Burley and Virginia blend with just a touch of Perique. Light and dark tobaccos flavored with benne whiskey. A must for the connoisseur of fine liquors. A great english mixture of virginias, cavendish and burley, blended with rich cyprus latakia. Tobacco hall of fame inductee blend of virginia, macedonian orientals, latakia, and a touch of brown cavendish. A full-bodied smoke with virginias, orientals, copious amounts of latakia, and a bit of perique. A fire-cured tobacco with a smoky aroma. Sweet and full-bodied blend of toasted cavendish, mountain latakia, white burley, and golden virginia. A strong louisiana tobacco with a distinctive character. Toasted cavendish laced with mountain latakia, and then blended with white burley and golden virginia produces a sweet flavor and cool full-bodies smoke. This english/balkan blend is full-bodied and very distinct. Pipe World offers chewing tobacco and Swedish Snus. Pipe World carries a large selection of cigar humidors, lighters, cigar cutters, cigarette cases, cigar cases, tobacco pouches, pipe tools, pipe stands, ashtrays and cigarette-making supplies. Pipe World is an authorized Zippo, Xikar and Davidoff dealer. Pipe World also carries top quality men’s gifts. Pipe World offers a VIP membership for $10.00 a year. Questions about Pipe World or our products? Since we are a family business, we are closed on all major and family holidays.